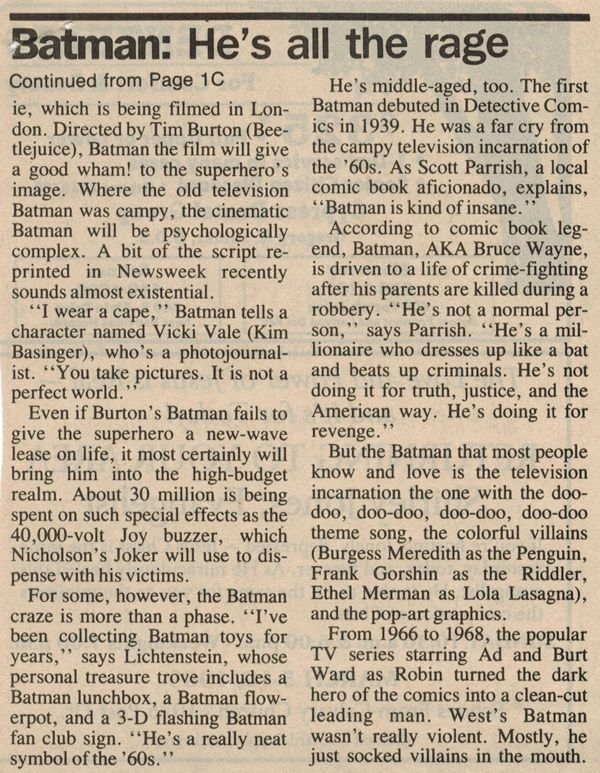 While there isn't much relating to the '89 film in this snippet from the Salinas Californian (outside of a couple of early script quotes and some talk on the film's budget & crew), this article does give a pretty solid representation of how Batman was perceived by the public before Burton's Batman hit. Almost the entire write-up is spent referencing the Adam West show- including one quote that states "he's a really neat symbol of the 60's". The piece is a perfect illustration of the battle Batman '89 had to fight against the stigma of "Pow, Zam, & Bonk".